In today’s age of three-dimensional movies, where directors work very hard for you have to an ‘experience’ through special effects, there are few film makers who still focus on making you think about the meaning of our existence. Woody Allen (despite all other issues that I have with the director) has explored several ideas around guilt and morality (Match Point), nostalgia (Mid Night in Paris), wonder (Magic in the Moonlight), and romance vs. love (Café Society) in the recent years. Subtle concepts such as nostalgia, guilt and an internal struggle to remain moral, are hardly given much space in movies today, except may be a few sentences or a few seconds of an expression (please comment and share if you know of movies that have dealt with such comments/emotions-without making them overtly heavy). But to base entire movies on these emotions that we all feel, more often than we acknowledge in our goal driven lives, is what only a fine artist, and a keen observer of human mind can achieve. So, I get to comment on the most recent of Allen’s movies—Café Society. Like all his other movies, which lately have taken place outside of the USA, the location and time periods drive the story just as much as the characters and plot. In fact since even the plot is secondary to the characters – we get to enter the minds of protagonists. What a treat!! 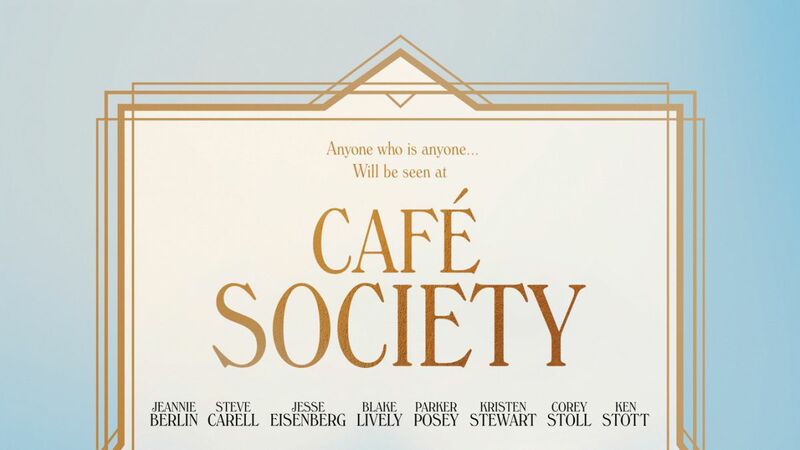 Set against the backdrop of 1930s Hollywood, Café Society is a story of Bobby (Jesse Eisenberg), who moves to Los Angeles in search of a job. Bobby, while working for his uncle, falls in love with his secretary who has a mystery lover, and cannot reciprocate his feelings. But when she is rejected she turns to Bobby and reluctantly falls in love with him. Since this is not a mere girl-meets boy story, nor is it a tragedy —Allen deals with the paradox of choice. Can you be so sure that your choice today will lead to continued happiness? If you do realize later, and all too late, that your choice was not really ‘your’ choice but a result of circumstances or your own opportunistic, calculating or even practical nature, are you justified if you want to revert to the way things were, even if it means hurting the ones whose support has led you through your difficult times? Without giving away much, I can say that Café Society is a love story, that not only does not end happily but actually does not end. The viewer is left with an angst, as people are in real life, when they come at crossroads of facing the implications of their past decisions on their present. Research shows that the number of movies that focus on a love story but do not end happily has reduced over the years (may be never was that high) to please the audience. But in that pleasing of the audience, writers and directors become more contrived, and important questions remain unexplored. Café Society does not give an answer, but only provides a scenario, and throws the ‘thinking’ back in in our court. Even though I carried the confusion of the lead characters with me as I walked out the theatre, I acknowledged— reluctantly, that I will be looking forward to Allen’s next movie, if only to see what questions he raises next.